To create an alliance between developed countries controlling the global market and third world countries unable to access the benefits of a global economy. To build a company that has the longevity to give an expected return. At American Pharmaceutical Innovations Company®, we have one goal in mind and that is to help the world achieve optimal health. American Pharmaceutical Innovations Company® subscribes to the philosophy that vitamins and nutritional supplements should not only provide for deficiency diseases in human and animal health, but should also provide optimal nutrition, protect against environmental toxicants, help boost the immune system to combat diseases and avoid chronic disease as well. AmPharma® was formed for the purpose of marketing, distributing and manufacturing the highest quality dietary supplements, pharmaceuticals, nutritional energy and meal replacement bars and veterinary products made of the purest and finest ingredients. At AmPharma® we have one goal in mind and that is to "help the world achieve optimal health." Our team has operated since 1994 and excelled in the marketplace in the U.S. and internationally by developing a complete new line of products formulateded in accordance with the newest scientific research and technologies. 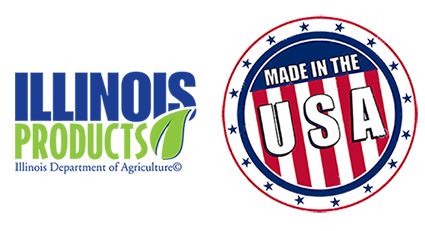 All the formulas are in compliance with all the FDA requirements, pursuant to the Federal Food, Drug and Cosmetic Acts (FD&C), the Fair Packaging and Labeling Acts (FPLA), and all regulatory laws and are freely sold in the USA market.